We’re all listening to the waves of an ocean we can’t see. It’s an odd feeling when the view below eerily mirrors the view above. Some of the white sea foam crashing on the black rocks resemble the cirrus moonlit clouds in the night sky. It feels like I’m suspended in a timeless and dark pocket of the country’s Celyon past. This area of space hasn’t changed in millennia. Beaches tend to do that to my consciousness. I lose any semblances of time as they transport me back countless ages and show no regard for any history thrust upon their shores. It’s a short trip back to the primordial before I hear the sounds of a modern city behind me. Turning to look at the lights from the towers on the shore, we watch them reflect and warp off the black water while talking about hope, dreams and travel memories. I’m standing at the railing of a pier over the breaking surf of the Indian Ocean on Galle Face Beach with the three incredibly nice girls I met outside my hotel. First they take me to a small restaurant to eat kottu roti then to a beautiful shrine, then the beach for some ice cream and later we have shrimp vade from a street vendor. As nice as this is, we must leave as we need to go to the Hospital for some therapy. They drive me down the dark roads of the city with the windows open letting the ocean air flow through my hair and looking up at the tall buildings and fancy hotels. It’s not far from the beach to the Hospital but I’m enjoying the ride nonetheless. Last night I came through here in a cab but it was pouring rain. Everything was distorted but tonight I have a clear view of a modern and great city. There’s a gentle sea breeze flowing into the sturdy looking structure we just entered. No doubt it has been re-purposed more than a few times but initially I believe it was constructed as some sort of infirmary for the Dutch colonists who came here centuries ago. Strolling through the aptly named Dutch Hospital, I hear music from a live band playing a song I know in the next open area. This courtyard is lined with shops, restaurants and bars but it’s mostly empty save for a few people walking towards the music or having a quiet drink at one of the few places that are still open on this side. The warmth feels amazing coupled with just the right amount of humidity and a full belly of amazing and traditional Sri Lankan food with new friends and good music. A combination that’ll soothe any soul especially one as weary as mine. 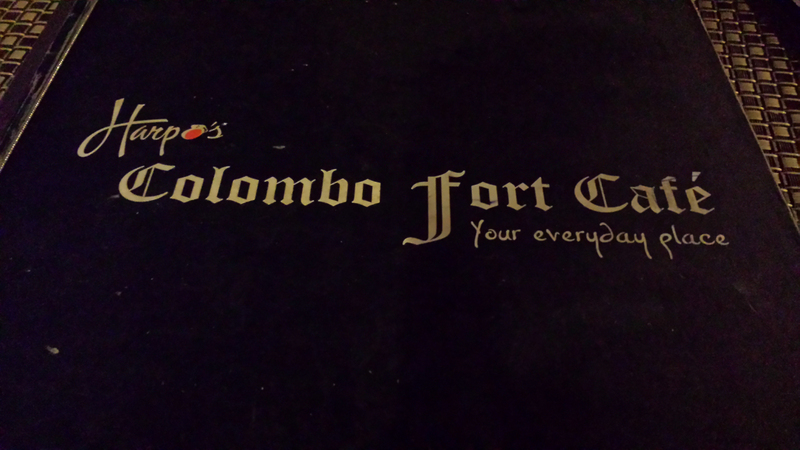 I’ve been globetrotting for two weeks now and have nearly two more weeks and a few more countries to go but tonight, I’m enjoying what has turned out to be quite a fun, beautiful and rejuvenating night and what better place to heal the mind than behind the walls of a historic hospital in Colombo. The music grows louder to another familiar song as we approach the hall connecting the two buildings. The second courtyard is buzzing with the Colombo cosmopolitan youth that have come out this day after Christmas. The men are very well dressed and I find the women of Sri Lanka to be quite stunning. Categories: Asia, Food and Drink, Fun, General | Tags: Asia, Beach, Colombo, Dutch Hospital, GoPro, Indian Ocean, Music, Ocean, photography, Sri Lanka, Travel, Travel Blog, Travel Lit, Travel Literature, Wanderlust | Permalink.